Winter is upon us and there’s not a more perfect time to sport stylish hand-painted silk scarves than now. There are a lot of benefits of wearing silk scarves, but sometimes it’s not all about how comforting or beneficial it is. How you look in it also matters, and that is why today I am going to take you through the three most fashionable ways to show off your scarf collection. 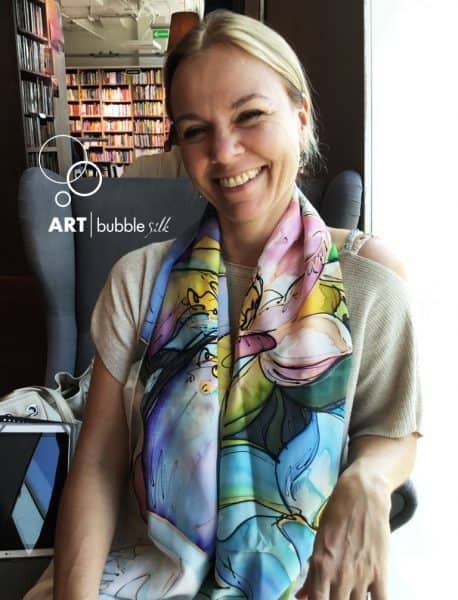 You can choose your pick from my hand-painted silk scarves for sale based on your unique taste, profession, and personality. You can even get more creative and customize your own scarf. Once you have your collection of beautiful designer silk scarves and shawls ready, just go through these ways to look different every time you go out this chilly season. 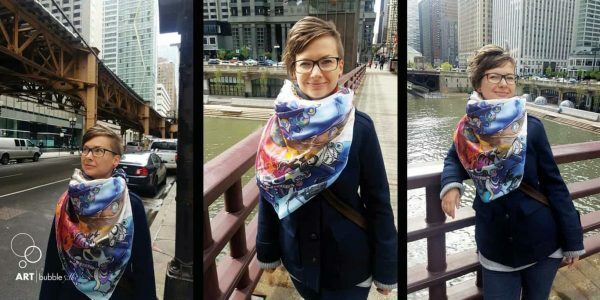 There are numerous ways in which you complement your attire with a beautiful hand-painted silk scarf, but these three are striking and the most popular. The classic European loop has you fold your silk neck scarf into two to create a loop on one side. Now drape the folded scarf around your neck and pull the other end through the loop on your front. Tighten the loop according to your comfort and set it comfortably around your neck. Suitable for when in non-windy places, just take your short silk scarf and toss it around your neck without tying or looping. This works best when you’re indoors. For colder climates, it’s best to round off your attire with an Eri silk scarf that holds warmth around your neck and shoulders for a longer period. To get the most of your scarf, tie the ascot knot by draping it around your neck and then pulling one end over the other three times. The third pull should give you the fluff which can be set as per your comfort. A variation of the ascot knot with a large fluff. All of the above scarf-tying methods can be tweaked to go well together with your clothes. The key is to match or contrast with your attire, and for that, you should consider expanding your collection. 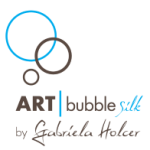 Explore my 100% silk scarves for sale on Etsy and make a style statement today!